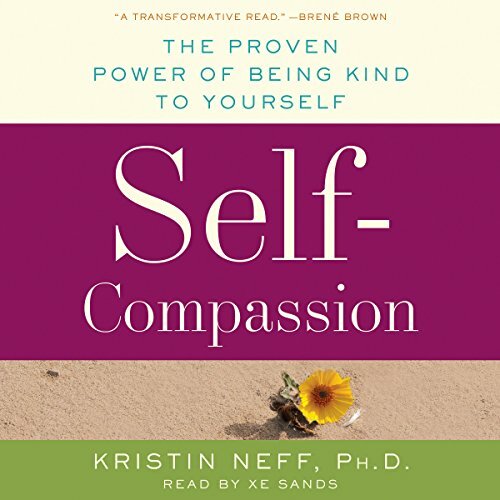 From leading psychologist Dr. Kristin Neff comes a step-by-step guide explaining how to be more self-compassionate and achieve your dreams in life. The relentless pursuit of high self-esteem has become a virtual religion - and a tyrannical one at that. Our ultracompetitive culture tells us we need to be constantly above average to feel good about ourselves, but there is always someone more attractive, successful, or intelligent than we are. And even when we do manage to grab hold of high self-esteem for a brief moment, we can't seem to keep it. Our sense of self-worth goes up and down like a ping-pong ball, rising and falling in lockstep with our latest success or failure. Fortunately, there is an alternative to self-esteem that many experts believe is a better and more effective path to happiness: self-compassion. The research of Dr. Kristin Neff and other leading psychologists indicates that people who are compassionate toward their failings and imperfections experience greater well-being than those who repeatedly judge themselves. The feelings of security and self-worth provided by self-compassion are also highly stable, kicking in precisely when self-esteem falls down. This book powerfully demonstrates why it's so important to be self-compassionate and give yourself the same caring support you'd give to a good friend. This groundbreaking work will show you how to let go of debilitating self-criticism and finally learn to be kind to yourself. Using solid empirical research, personal stories, practical exercises, and humor, Dr. Neff - the world's foremost expert on self-compassion - explains how to heal destructive emotional patterns so that you can be healthier, happier, and more effective. Engaging, highly listenable, and eminently accessible, this book has the power to change your life.